As daunting as the future of Afghanistan may appear in light of its past, there is also hope. 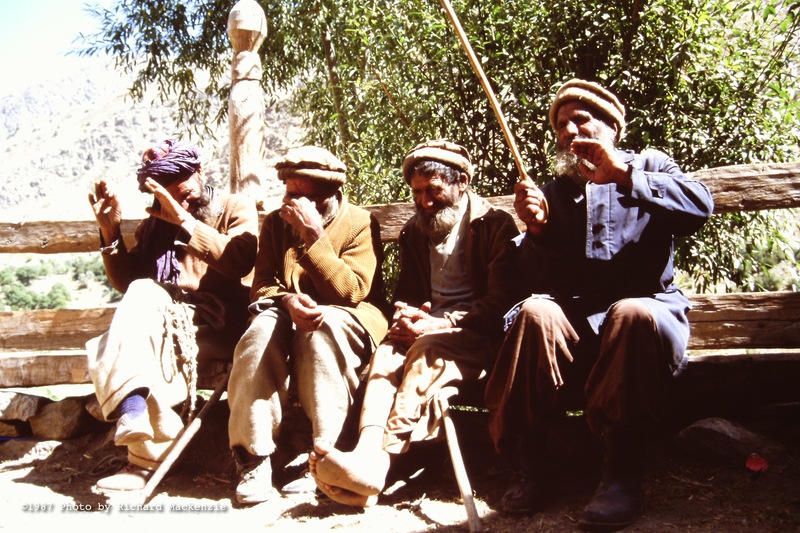 It lies in the timeless, eternal Afghanistan, in the land and the people who have endured so much over such a long time. Delving into almost three decades of experience in Afghanistan, I want to tell a unique Afghan story, to shed light on the aspirations and the people I was so privileged to get to know. Through these photographs and stories, I can only hope to provide a glimpse into their character, lives, and determination, and their place within recent history. 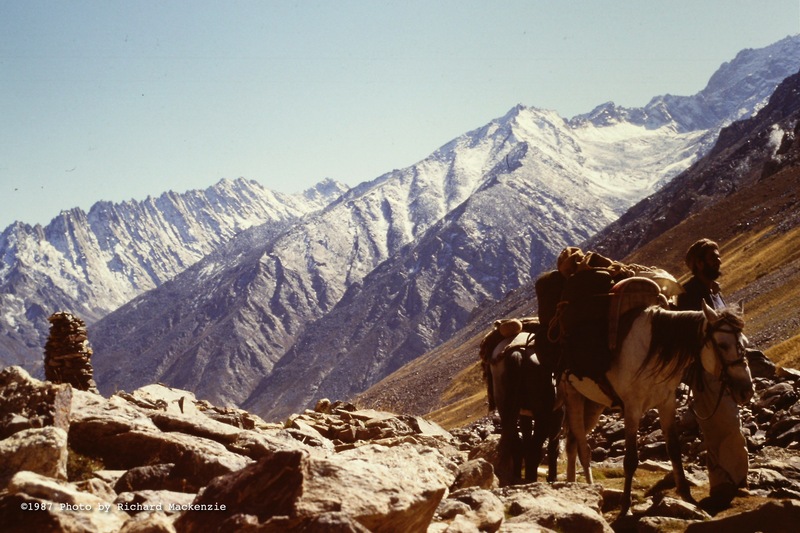 Timeless terrain… And a loving son of Afghanistan, Rahman Baig, crossing the Hindu Kush as winter approaches in 1987. 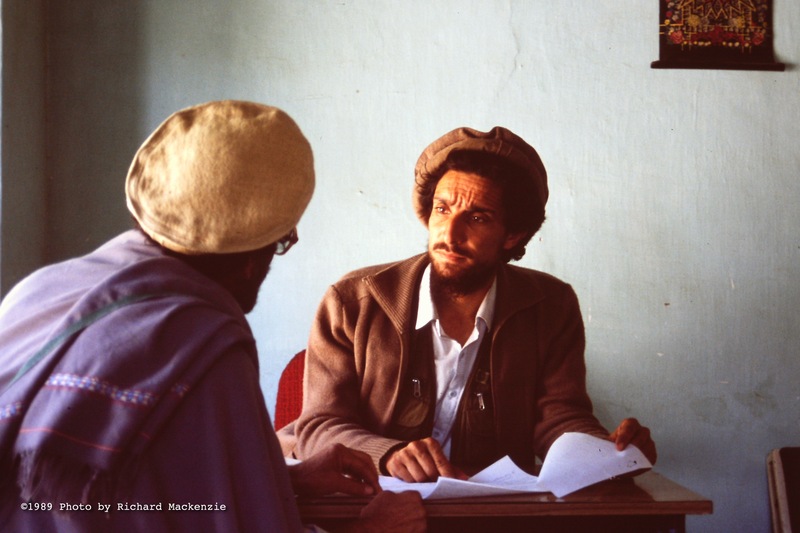 Ahmad Shah Massoud meets with a civic leader in the town of Taloqan shortly after it was captured in 1989. 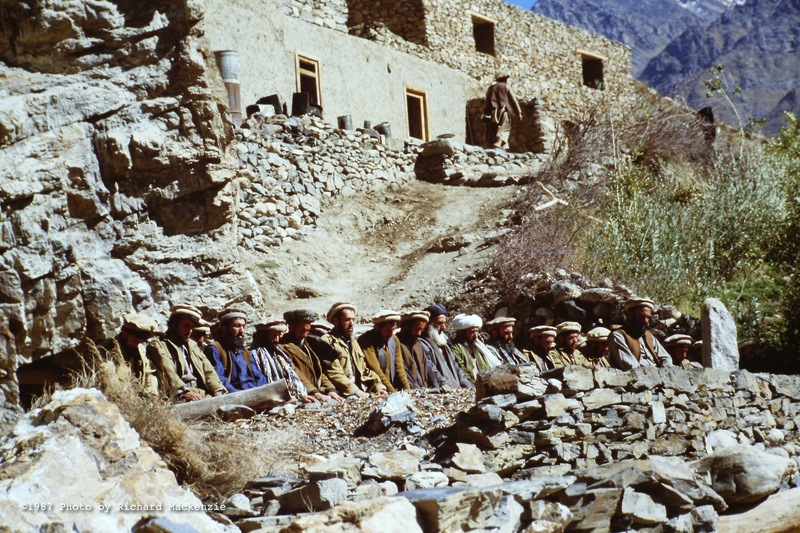 Devotion… Anti-Soviet resistance fighters at prayer in the North of Afghanistan in 1987. I’m anxious to read more of this……it makes Afghanistan real to me. Can I please request you to, post more photos of the time 1987 in north of Afghanistan. please, i am waiting to see more photos here. thank you. love to see more photos! good luck with this project. Thank you very much indeed for your kind words and good thoughts. Most appreciated. Chera nay? Why not? They are coming. I promise. This was wonderful thank you for sharing and hope to see more ! سلام و تشکر از داستانها و سرگذشتهای تان در شمال افغانستان! Greetings and thanks for the stories and your experiences in Northern Afghanistan. Bravo and keep up your great works!